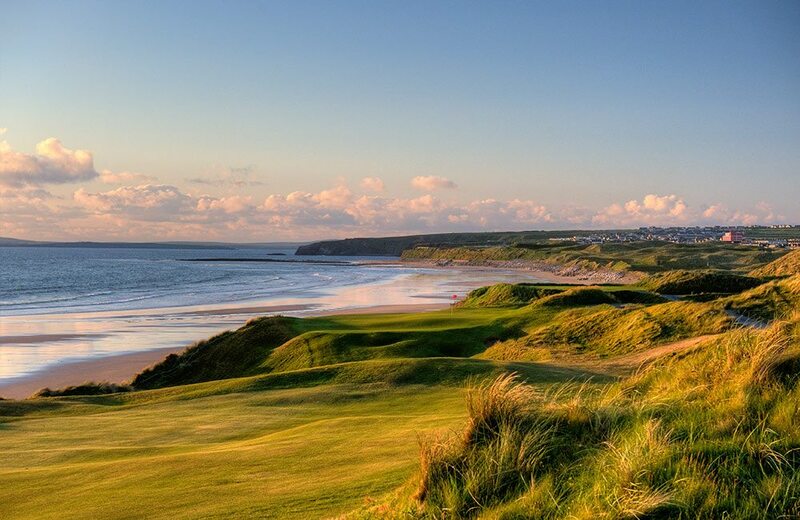 Located on the picturesque South West coast of Ireland, Ballybunion Golf Club is arguably the finest golf club in Ireland. 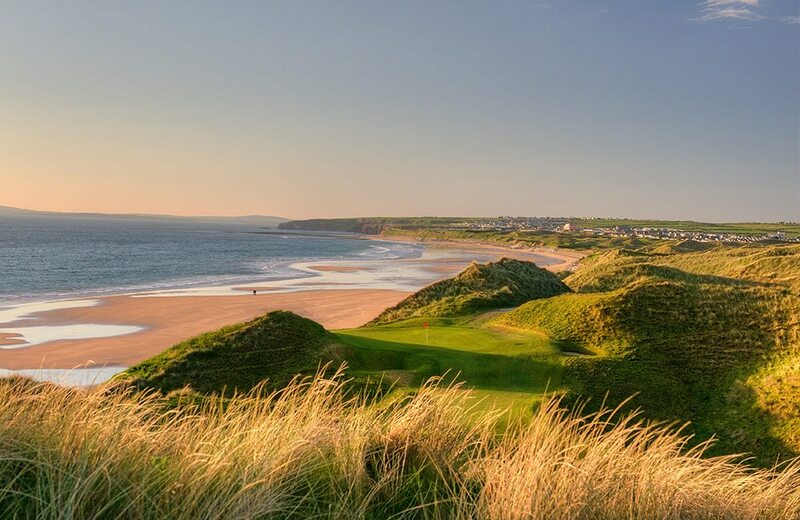 With two beautifully maintained links golf courses on site, visiting golfers find it hard to compare the Ballybunion experience to any other. 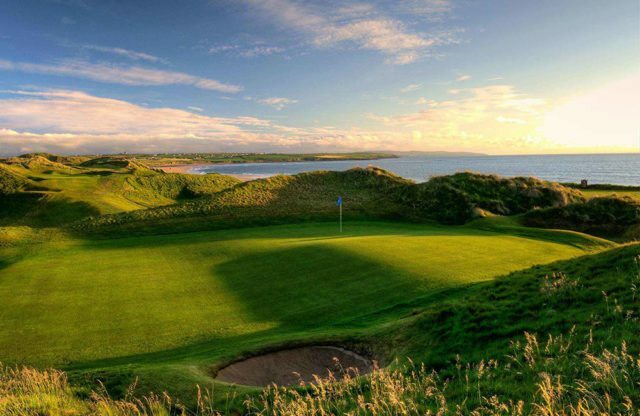 The Old Course has been described as “nothing less than the finest seaside links ever seen”. With frequent visitors from the US, the guest book boasts some of the games most prominent golfers and the occasional US president, as in 1998 when Bill Clinton stepped up to the first tee. 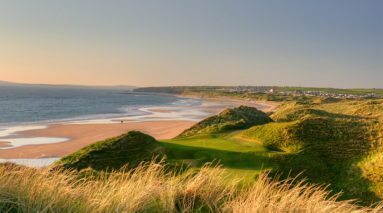 The Old Course has played host to Murphy’s Irish Open and also the Palmer Cup more recently in 2004. The Old Course, consistently ranked as one of the world’s top ten golf courses, features a graveyard by the first tee, which some say is a warning to golfers who breeze through the first five holes only to come face to face with the ever challenging 6th, the fiendish 8th, the daunting par four 11th and the devilishly tricky 15th. 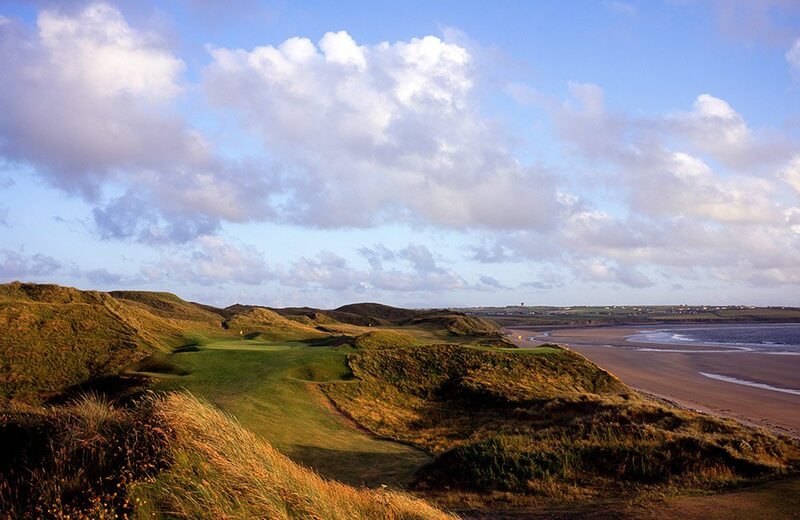 A Breathtaking Challenge – The legendary Tom Watson described this glorious links as the best in the golf world. 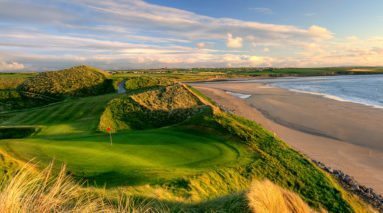 High praise indeed for this magnificent test of golf, which meanders menacingly through massive dunes on the shores of the Atlantic. 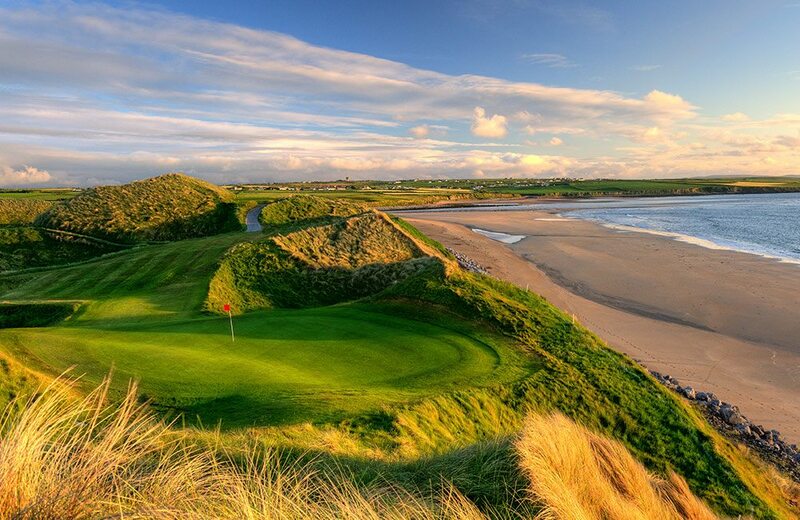 The second course in Ballybunion Golf club is the Cashen course. 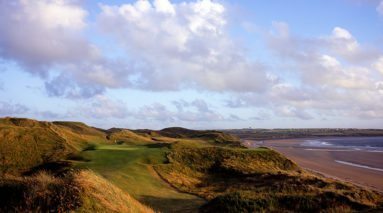 It’s going to be hard for any course to measure up to its older sister, but the Cashen course does a fine job of just that. 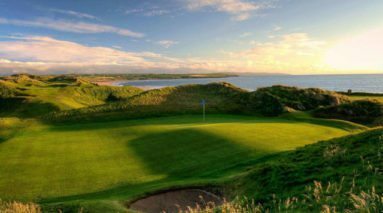 The Cashen course is slightly more exposed to the elements and can be quite unforgiving if you find yourself lured in by its flirtatious design. DESIGNED Robert Trent Jones Snr. 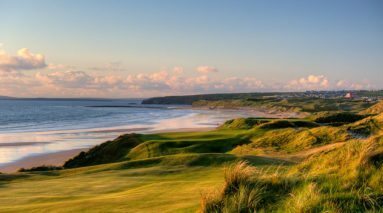 As Ballybunion is a popular seaside tourist destination, with numerous options for accommodation during your stay. The most popular, and best options are generally the high-quality guesthouses in the town. 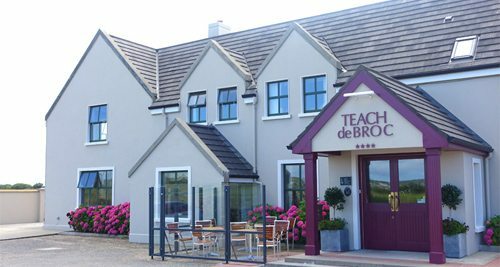 For a more centrally located accommodation, we would recommend Kilcooly’s Guest House, however, if you would prefer to be closer to the course we would recommend either Teach de Broc or the Cashen Course House. With the course only a 5-minute drive from the town centre, it really is a matter of preference as to where you would like to be closer to. There is also an excellent selection of top bars and restaurants to choose from in the town. 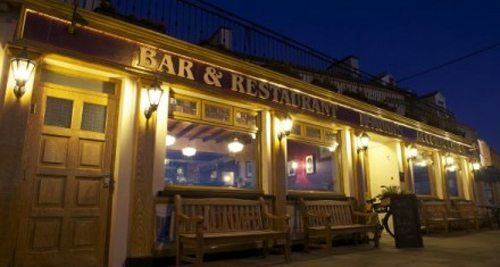 Top options would include McMunn’s Bar & Restaurant, Strollers Bistros, Kilcooly’s Bar & Restaurant and Daroka. The options vary from traditional “pub grub” to fine dining. For those looking to dip their toes in the great Atlantic Ocean, the nearby beaches have grown in popularity as surf sites in recent years. 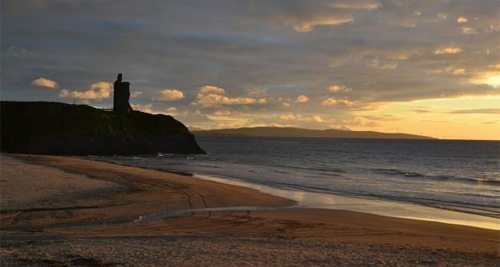 Ballybunion beach itself is a popular spot for strolling amongst the locals and, at low tide, tidal caves will become accessible to those looking to explore the hidden coastline.